Hiitin Bootie Paris in a few weeks. Here's one of my fav french bootlegs! 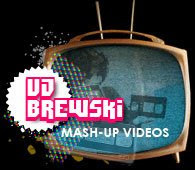 VJ Brewski in Paris! Saturday 3rd October!